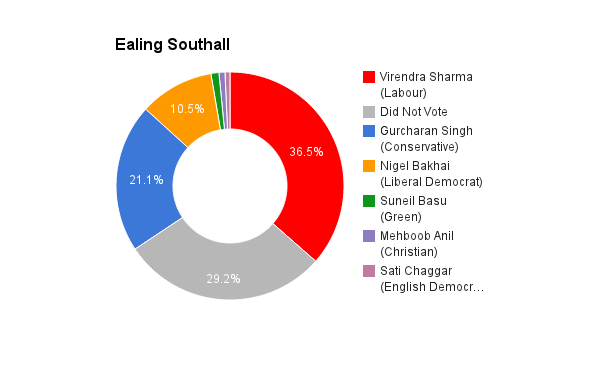 Ealing, Southall is located in Greater London. 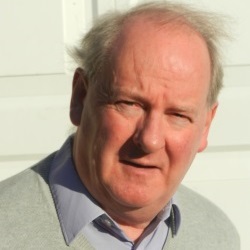 The seat was created in 1983 and has been held by Labour ever since. The current member of parliament is the Labour Party’s Virendra Sharma who has served since the by-election in 2007. Draw as many as possible to my website and blog (http://ukip-ealing-southall.org/ and http://jepoynton.com/) – the address features strongly in my campaign literature. Also I hope to build up a database of constituent contacts so that I can email them on a regular basis. Should be obvious from the website – experience, professional ability, good listener, political passion. Nothing that I can find. He seems to be a complete airhead. Partially. Help to Buy may have saved Osborne’s skin, but austerity has undermined our public services. UKIP can eliminate the deficit without either decimating those services, like the Conservatives, or sticking taxes up through the roof, like Labour, just by leaving the European Union. For more details see my website and blog (new article entitled “Is it possible to end boom and bust” coming up shortly). Immigration, legal or otherwise, is not necessary for the UK. People often forget that anyone living here is consuming as much as they are producing, so their effect is neutral. You have to be a higher-rate taxpayer or net saver to be a net contributor, and on benefits, increasing credit or sending money abroad to be a net consumer. Any increase in population, whether from immigration or the birth rate, will put pressure on our limited resources and space. The cost of living crisis is caused by wage compression, not inflation, though the green deal policy does not help. Wage compression is caused by immigration. I already have a blog article on funding the NHS, and one on managing our public services will follow shortly. A big increase in the benefit earnings disregards would really ‘make work pay’. Contrary to the Coalition’s claims, there is nothing in the design of Universal Credits to do this. Universal Credits will be a useful improvement in administrative efficiency for both claimants and taxpayer, but that’s all. Also a new taxcut-based regional policy (again see blog). Also see my discussion on the output gap in the boom and bust article. No, I don’t think so. The whole point of representative government is so that people of ability can find solutions that the ordinary person is incapable of conceiving. Today the House of Commons is stuffed full of over-promoted parish councillors and career politicians straight out of nappies who are hopelessly out of their depth in Westminster, and whose inability and inexperience only adds to the general disillusion with politics. The passion for devolution and localism is a case in point, as is the idea that each minority group should have an exactly proportionate representation. What is important is that if an MP does not represent his constituents adequately they can boot him out. Democracy has always worked this way (look at Soviet Russia for example – their leaders were always elected – you just couldn’t get rid of them again!). UKIP intends to make it easier to replace MPs as well as promote the use of local referenda. UKIP’s position is clear on this point!! !